Mail ons nu uw bestelling! JOVENTA SMALL electric damper-actuator series have been developed to operate small and medium air dampers in ventilation and air conditioning systems. The compact design and universal adapter fitted with limitation of rotation angle make this JOVENTA actuator highly versatile. JOVENTA SILENCE electric damper-actuator series have been developed to operate small and medium air dampers in ventilation and air conditioning systems. The compact design and universal adapter fitted with limitation of rotation angle make this JOVENTA actuator highly versatile. JOVENTA STANDARD electric damper-actuator series have been developed to operate small and medium air dampers in ventilation and air conditioning systems. The compact design and universal adapter fitted with limitation of rotation angle make this JOVENTA actuator highly versatile. Simply direct-mount with universal adapter on Ø 10 mm to 20 mm shaft or square shaft from Ø 10 mm to 16 mm. 48 mm minimum shaft length..
JOVENTA SPECIAL electric damper-actuator series have been developed to operate small and medium air dampers in ventilation and air conditioning systems. The compact design and universal adapter fitted with limitation of rotation angle make this JOVENTA actuator highly versatile. square shaft from 10 mm to 16 mm. 48 mm minimum damper shaft length. ca. 2 m² and 4 m² short and constant running time. Accessories for Joventa damper actuators. - Protective Housings, where IP65 protection is necessary. JOVENTA VALVE electric mixing-actuator series is intended for operating water valves such as mixing valves, butterfly valves, inter-flange dampers and ball valves. The mixing-actuator is designed so that t can be fitted using the relevant fitting kid, to many different makes of valves. 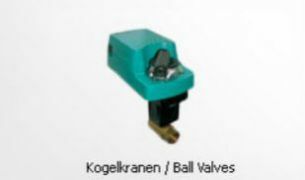 The universal coupler between the actuator and valve make an uncomplicated application possible. JOVENTA SPRINGBACK electric, spring return damper-actuator series has been specially developed for the motorized operation of safety air dampers. When the control signal is applied the actuator drives the damper to the operational position, while evenly tensioning the integrated spring. Should the power supply to the actuator be interrupted, the stored energy in the spring wil immediately move the damper to the safety position. square shaft from 10 mm to 14 mm. running time open 10..40 sec, close with spring 35..70sec. JOVENTA SPRINGBACK electric, spring return damper-actuator series has been specially developed for the motorized operation of safety air dampers (anti-icing) in airconditioningsystems, smoke evacuation dampers and sealing dampers. square shaft from 10,12 or 14 mm. The ball valves are used for the constant water regulations of air treatment systems in ventilation and air conditioning units as well as in heating systems. 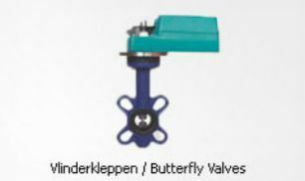 Applications: Butterfly valves are used for interruption or restriction of flow of liquids and gases.